In the mean time, cough into your elbow and wash your hands. When you hear a comic or “commentator” babble about H1N1, change the channel. H1N1 is a very real crisis. We need to take it seriously. FDA has started a major campaign to explain product recalls to the public. In an extensive article and video called, “FDA 101: Product Recalls – From First Alert to Effectiveness Checks,” FDA explains the process in clear language for the general public. Go to http://www.fda.gov to view for yourself. While FDA discusses that most recalls are voluntary, what isn’t discussed is the fact that FDA currently has limited enforcement authority regarding recalls of hazardous products that FDA regulates. Congress has pending legislation to give FDA increased recall authority, including mandatory recalls for dangerous food products. FDA Commissioner Margaret Hamburg discussed this during her speech to the Regulatory Affairs Professionals Society in Philadelphia (see previous post). During the time that I worked as an FDA field investigator I would sometimes perform “recall audit checks.” I would go to a hospital, health product distributor, or pharmacy to find out if they had received a recall notice from the manufacturer of the recalled product. Sometimes they had taken prompt action to remove the product from their shelves. Sometimes they would just shrug their shoulders and say they didn’t remember or that they threw away such notifications. There is little FDA can do in that situation because the system is basically voluntary except for the most serious situations. For many, if not most recalls, a voluntary recall system is OK. They are not serious enough to utilize significant agency resources. 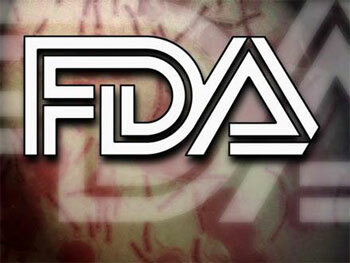 However, when there are serious public health risks FDA needs the authority to take action. Hopefully Congress will tmove forward soon with legislation to give FDA the authority it needs to enforce product recalls of significant public health concern. Why is this a big deal? Because currently there are only five active postmarket studies being conducted because of Section 522 and only three of them are for a “510(k)” approval that does not require extensive clinical studies of devices that require a “Pre-Market Approval” or PMA. Not only that, there are currently no 510(k) devices that have been implanted for more than a year. It seems that postmarket surveillance is going to increase under Commissioner Margaret Hamburg and her principal deputy, Joshua Sharfstein. I certainly would want to know what is going to happen with a medical device implanted in me for a year. I think that most of us would agree that more postmarket surveillance with drugs as well as medical devices is called for. 3. Communication of agency decisions about pending product applications. Unfortunately, the organizations that know how to mobilize articulate representatives for public FDA meetings like this are not always the organizations with FDA’s best interests at heart. FDA is a large, complex organization and it can be a little intimidating to think about speaking in public about any specific concerns. Also, some of us don’t live within driving distance of Washington, DC (its on the wrong coast). FDA has set up a “Transparency Blog” where it might be easier to make a contribution. FDA is actually doing a lot of listening these days so please, speak your mind, you just might have something useful and understandable to say. You are currently browsing the GxP Perspectives blog archives for October, 2009.